Today I'm delighted to introduce you to my friend Amanda Cabot. 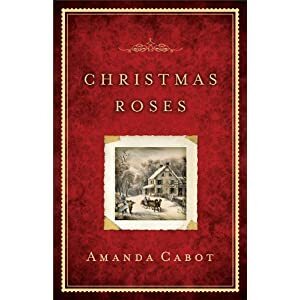 Her latest books, Christmas Roses, released September 1, so I invited her over to tell us more about the story and her writing. Please join me in welcoming Amanda. Amanda, can you tell us what draws you to the time period you write about? I actually write in a number of different time periods, although – so far, at least – what they’ve all had in common is that they are in the second half of the nineteenth century. For me, that’s an intriguing time, because it’s definitely historic. Unfortunately, there’s no indoor plumbing, but women were no longer chattels, so I’m not bending history when I create strong heroines. That is a fascinating time period, filled with change and challenges. In Christmas Roses, what does your heroine learn? Both Mark and Celia learn the true meaning of family. It’s something we all need to be reminded of occasionally. What was the most interesting tidbit you learned in research that you couldn’t include in the book? Celia, my heroine, is a Swedish immigrant, so I wanted to include some Swedish customs, including St. Lucia Day (December 13). I knew that it was a celebration of light and that young girls would wear a coronet of candles as they delivered coffee and pastries to their parents. I also knew that the candles had their origin in Roman times when Lucia placed candles on her head as she delivered food to prisoners in the catacombs. What I didn’t know was that there were other versions of Lucia’s story, and that one of the reasons she’s the patron saint of the blind is that in some versions of her story, her eyes are gouged out. That was definitely too gruesome to be included in Christmas Roses. Ugh! I can see why that wouldn't make it in! One thing I've learned is that God usually teaches me something as I write. Did God teach you something as you wrote Christmas Roses? That all things are possible through Him. There were several times when I was stymied, searching for a way to make the story resonate with readers. When that happened, I’d pray for guidance, and without exception, when I woke the next morning, I knew what I had to do. A coincidence? Definitely not! I love it when writing becomes a partnership with God! What makes you grateful you have an editor? How long do you want this to be? I could talk all day about how wonderful my editors are. My primary editor, the one who buys my books, has a great sense of humor that makes revisions almost painless. She also knows what will appeal to readers and, in the case of ChristmasRoses, suggested a plot point that strengthened the story. My project editor describes her comments as picky. I find them insightful. She’s the one who catches inconsistencies, overuse of individual words and unclear motivation. Together, they make my books better, and for that I’m deeply grateful. Both types of editors are critical! So glad you have great editors to help make your books shine. Here's a fun question: if you were stranded on a desert island who would you want with you? It’s probably a cliché, but if I could only have one person, it would be my husband. After all, he’s my best friend as well as the man who’s shared most of my life. But if I could bring others, I’d pick my fellow members of Front Range Christian Fiction Writers. They’re a great group of writers, and since their backgrounds are all quite different, I know we’d never be bored. Thanks so much for joining us, Amanda. From the time that she was seven, Amanda Cabot dreamed of becoming a published author, but it was only when she set herself the goal of selling a book by her thirtieth birthday that the dream came true. A former director of Information Technology, Amanda has written everything from technical books and articles for IT professionals to mysteries for teenagers and romances for all ages. She’s delighted to now be a fulltime writer of Christian historical romances. 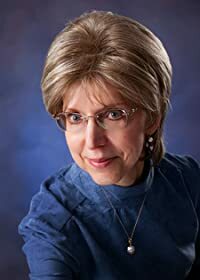 Her Texas Dreams trilogy received critical acclaim, and Christmas Roses, her first stand-alone story, was just released. Celia Anderson doesn’t need anything for Christmas except a few more boarders, which are hard to come by in this small mining town. She certainly doesn’t have a husband on her Christmas wish list. But when a wandering carpenter finds lodging at her boarding house, she admits that she might remarry if she found the right man--the kind of man who would bring her roses for Christmas. It would take a miracle to get roses during a harsh Wyoming winter. But Christmas, after all, is the time for miracles . . . I'm eager to read this book. Thanks for sharing tidbits about its creation. I agree, there's no chance for boredom when surrounded by good friends and diverse personalities. Pamela, I'm reading the book now. It's great so far. Thanks for stopping by!